Barbara McAfee is the singer-songwriter. It is rousing and uplifting! Click the link below to hear the song. I hope you will sing along—the words are here. 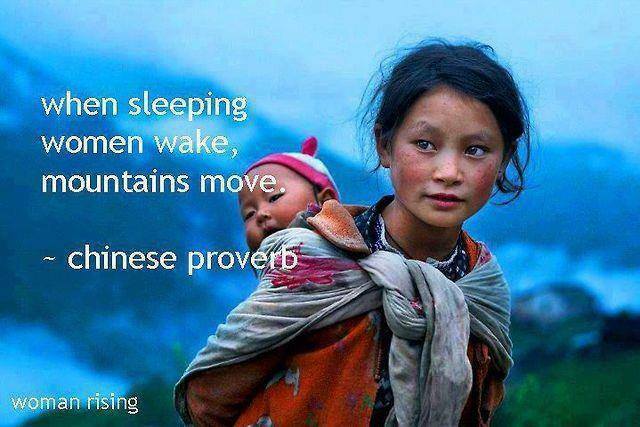 When women wake, mountains move. When women rise, the world rises with us. Women rise, women rise, women rise…. A new world is begun…. We may not even be nice…. Is there something that grabs your attention? A face or a story that won’t let you go? Will matter more than you’ll ever know.